Set on the north-west of the famous Isle of Skye, the village of Dunvegan is a quirky mixture of traditional stone dwellings and modern houses. With a wide selection of shops and hotels, Dunvegan is only a mile from the thirteenth century castle home of the Clan Macleod who are said to have had dealings with the "wee folk" at the Fairy Bridge. Also in the area - with fantastic rock forms and pinnacles - are the Cuillin Mountains, which many climbers consider some of the best in the country. The Aros Centre provides a wide variety of concerts, theatre and cinema throughout the year and is well worth a visit, whilst Portree, the island's only town boasts and excellent range of shops, restaurants and hotels, as well as a picturesque natural harbour. 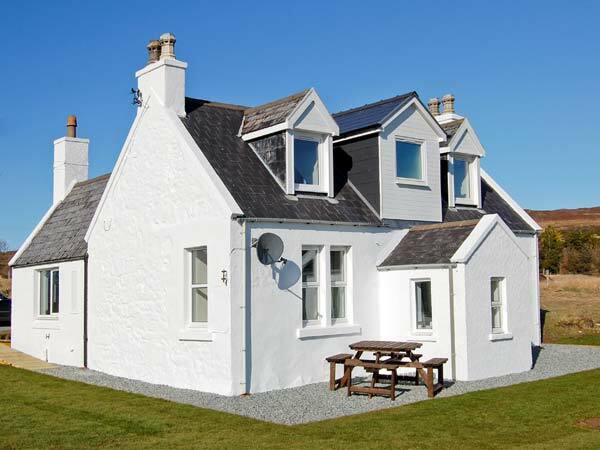 Boasting fabulous views towards the stunning Cuillin Mountains, this three-bedroom cottage is just a five minute walk from the sea and offers simple, cosy accommodation for five people. Situated in the historic village of Dunvegan on the beautiful Isle of Skye, this property is a charming detached, stone-built location. This lovely home-from-home also provides a fitted kitchen, separate dining room and a lounge with electric fire for colder evenings. Set in glorious scenery, the property also comes with a secluded garden, ideal for ball games or barbecues. The town of Portree and its local amenities is within easy driving distance, as are the local attractions of Dunvegan Castle, making this a wonderful base from which to explore this glorious part of the Highlands. Oil central heating with electric fire in sitting room. Electric oven and hob, microwave, fridge/freezer, washing machine, TV with Freeview, DVD, CD/radio, WiFi, small selection of books, games and DVDs. Fuel and power inc. in rent. Bed linen and towels inc. in rent. Cot, stairgate and highchair on request. Off road parking for 2 cars. Mature, lawned garden with furniture. Sorry, no pets and no smoking. Shops and pubs 5 mins walk. 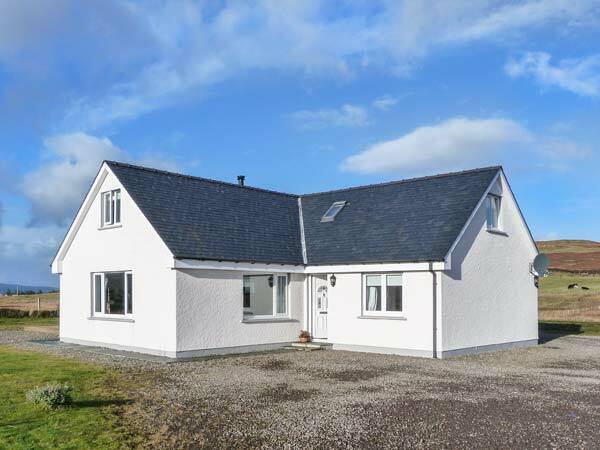 This recently decorated property is located in the hamlet of Holmisdale, 8 miles from Dunvegan and boasts 1 double bedroom, 1 twin bedroom, bathroom, kitchen and dining area and a spacious living room. This old country house is positioned in a quiet spot on a green hillside so there are clear views of the beautiful Scottish landscape to be had from all of the windows in this property. The house has been furnished in an inoffensive way in pale tones of cream and blue and the kitchen has all the modern appliances you'd expect to see in any home. Oil central heating. Electric oven & hob, microwave, fridge, freezer, washing machine, tumble dryer, dishwasher, TV, video, DVD player, stereo/CD player, selection of video/DVDs. Fuel & power inc. in rent. Bed linen & towels inc. in rent. Off road parking for 3 cars. Gravelled, cottage style gardens to the front of the property. One well-behaved pet welcome. Sorry, no smoking. Shop/Post Office/licensed restaurant 5 mins walk, pub 8 miles. 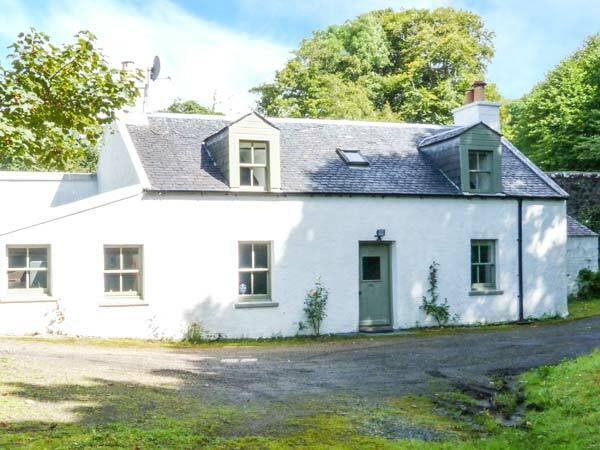 A detached, stone-built cottage nestled in the grounds of Dunvegan Casle and can sleep six people in three bedrooms. Gardens Cottage is a pretty, stone cottage situated in the grounds and gardens of Dunvegan Castle beside Loch Dunvegan. The cottage has a double bedroom, two twin rooms, one of which is on the ground floor, and a family bathroom, and can sleep six people. There is a kitchen with a breakfast dining area, a dining room, and a sitting room with an open fire. 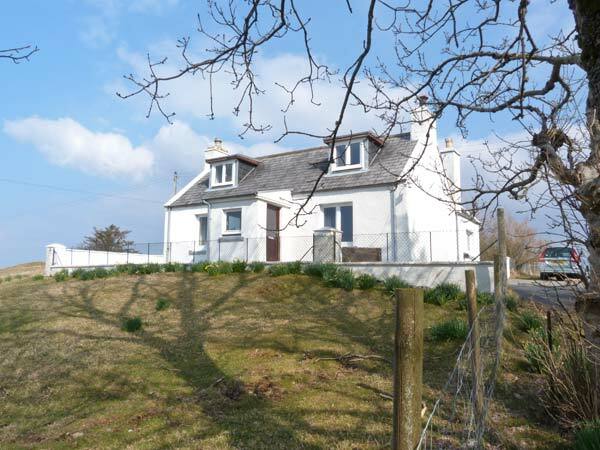 Outside, there is plenty of off road parking, and a front and rear garden with furniture, bordered by the loch. 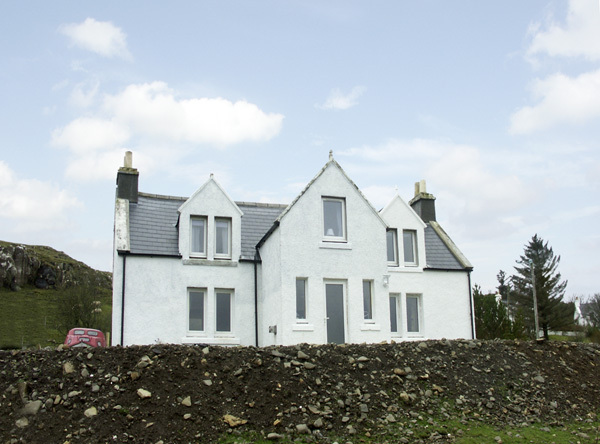 Gardens Cottage is the perfect family retreat fr exploring Skye, all year round. Rose Valley Cottage is a delightful, detached and whitewashed stone cottage situated in the grounds of Dunvegan Castle on the Isle of Skye. The cottage can sleep four people in a double room, a single room, and a family bathroom on the ground floor. There is also a well-equipped kitchen, a dining room, and a sitting room with an electric fire. Outside, there is ample off road parking and a front, and rear garden with furniture. 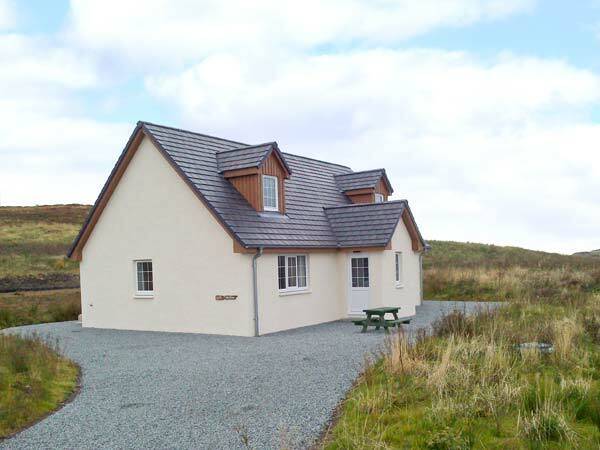 Rose Valley Cottage is a wonderful base for friends and families exploring the Isle of Skye and all it has to offer. Oil central heating with electric stove. Electric oven and hob, microwave, fridge/freezer, washer/dryer, dishwasher, TV with Freeview, DVD, CD, iPod dock, selection of books, games and DVDs. Fuel and power inc. in rent. Bed linen and towels inc. in rent. Cot and highchair on request. Ample off road parking. Open aspect front garden. Large enclosed rear garden with furniture. Sorry, no pets and no smoking. Shop and pub 10 mins walk. Note: Bedroom ceilings height is 6'2". Note: 5pm check-in. Red Chimneys Cottage is a bright and airy, detached stone cottage in the crafting hamlet of Totaig near Dunvegan on the Isle of Skye. The cottage can sleep up to four people and offers a ground floor double room with an en-suite shower room, a twin room with an en-suite basin and WC and a family bathroom with a shower attachment. There is also a kitchen with a social dining area and a first floor sitting room with a woodburning stove. Outside you will find ample off road parking and a gravel sitting area with wonderful sea views. Red Chimneys Cottage is the perfect base for small families or groups of friends wishing to discover the delights of the Isle of Skye! Gas central heating with woodburning stove. Electric oven, gas hob, microwave, fridge/freezer, washing machine, tumble dryer, dishwasher, TV with Freeview, DVD, CD, iPod dock, WiFi, selection of books, games and DVDs. Fuel and power inc. in rent, fuel for stove on honesty box basis. Bed linen and towels inc. in rent. Ample off road parking. Front gravelled patio with furniture. Two well-behaved pets welcome. Sorry, no smoking. Shop 3 miles, pub 7 miles. Note: Mobile reception can be limited in Husabost. Note: This property is not suitable for children under the age of 8. Note: WiFi can be intermittent. 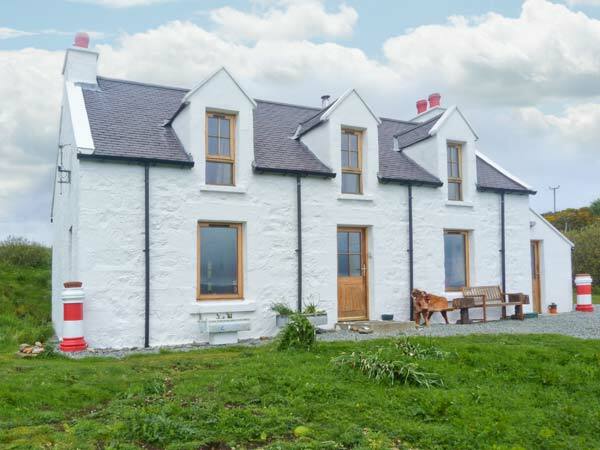 Cape Breton is a charming and contemporary cottage, just five miles from Dunvegan, and offering fabulous Loch and mountain views, on the spectacular Isle of Skye and can sleep five people. This all ground floor cottage has a double bedroom with an additional folding bed, a twin bedroom, a shower room, an open plan living area with kitchen, dining area and sitting area with electric fire and a utility/boot room. Outside there is ample off road parking and a lawned garden with furniture. Cape Breton is a lovely Scottish base for your holiday. Electric central heating with electric fire. Electric oven and hob, microwave, fridge/freezer, washing machine, tumble dryer, dishwasher, TV with Freeview, WiFi, selection of books and games. Fuel and power inc. in rent. Bed linen and towels inc. in rent. Cot and highchair on request. Ample off road parking. Front lawned garden with furniture. Sorry, no pets and no smoking. Shop and pub 5 miles. Coast 10 mins walk. 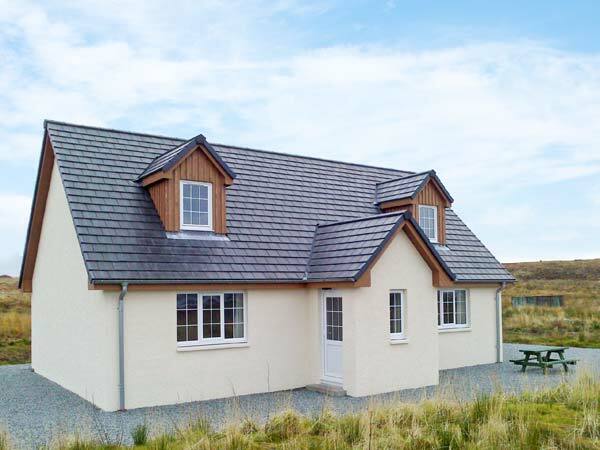 Vancouver is an immaculately-presented, contemporary cottage, idyllically located on the magical Isle of Skye, just five miles from Dunvegan and can sleep five people. This all ground floor cottage has a double bedroom with an additional folding bed, a twin bedroom, a shower room, an open plan living area with kitchen, dining area and sitting area with an electric fire and a utility/boot room. Outside there is ample off road parking and a lawned garden with furniture. Vancouver is a great holiday base for your trip to Scotland. Greenbrae is a lovely, detached cottage in Dunvegan, Isle of Skye. With three bedrooms, a ground floor double with en-suite, a double and a twin on the first floor, this cottage can sleep six people. There is also a ground floor bathroom, a kitchen with dining area and a sitting room with open fire. Outside there is a rear lawned garden, front patio with furniture, barbecue and loch views, and ample off road parking. Greenbrae is a great base for touring Dunvegan and beyond. Oil central heating with open fire. Electric oven and hob, microwave, fridge/freezer, washing machine, dishwasher, TV with FreeSat, DVD, CD/radio, WiFi, selection of books, games and DVDs. Fuel, power and starter pack for fire inc. in rent. Bed linen and towels inc. in rent. Cot and highchair on request. Ample off road parking. Front patio with furniture and BBQ. Enclosed lawned garden. Two well-behaved dogs welcome. Sorry, no smoking. Shop, pub and coast 10 mins walk. Note: Sloping ceilings in first floor double and twin. Hill Cottage isa traditional stone cottage, located in the village of Dunvegan on the Isle of Skye. The cottage sleeps six people in three bedrooms - one ground floor double with en-suite shower, basin and WC, one king-size double and one twin. There is a shower room with shower, basin and WC, along with a ground floor cloakroom with basin and WC. The living accommodation comprises a fitted kitchen with dining area and a sitting room with multi-fuel stove. Outside, a lawned garden surrounds the cottage, with views across Loch Dunvegan. Hill Cottage makes a great base for discovering Dunvegan and for touring the island as a whole. Electric heating with multi-fuel stove. Electric oven and hob, microwave, fridge/freezer, washing machine, dishwasher, 2 x TVs (1 with Sky, 1 with Freeview), DVD, Blu-ray, 3 x radio/iPod dock, selection of books, games, DVDs, WiFi. Fuel and power inc. in rent. Bed linen and towels inc. in rent. Cot and highchair on request. Ample off road parking. Large garden surrounding cottage with picnic bench. Sorry, no pets and no smoking. Shop and pub 10 mins walk. Coast 10 mins walk. Three Chimneys Restaurant 5 miles. Ardmore is a detached cottage that sits in a rural location on the Isle of Skye, ten miles from the village of Dunvegan. 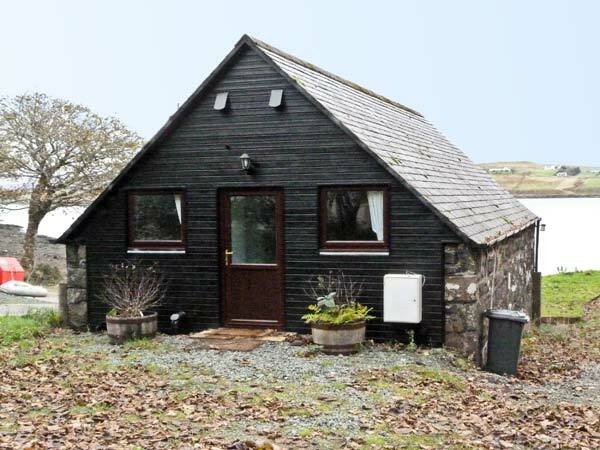 Set entirely over the ground floor, this cottage can sleep four people in two bedrooms, including one double and one twin, and there is also a pull-out bed available. The rest of the cottage is made up of a family bathroom, a fitted kitchen and a sitting room with dining area and a multi-fuel stove. To the outside of this cottage there is ample off road parking and a lawned garden to the front with furniture. Ardmore boasts beautiful views, and is a lovely base for any family or group looking to explore the magical Isle of Skye. Oil central heating with multi-fuel stove. Electric oven and hob, microwave, fridge, freezer, washing machine, TV with Freeview, DVD, WiFi. Power and starter pack for stove inc. in rent. Bed linen and towels inc. in rent. Cot and highchair on request. Ample off road parking. Lawned garden to front with furniture. Sorry, no pets and no smoking. Shop 10 miles, pub 3 miles. Coast 10 mins walk. Note: Woodburner available Oct-Apr only. Taigh an Tobair (House by the Well) is a detached cottage situated in the village of Colbost, five miles from the village of Dunvegan on the Isle of Skye. This single storey cottage sleeps five people in three bedrooms, consisting of one king-size double, one double and one single, as well as a family bathroom. The cottage also has a kitchen with dining area and a sitting room with woodburning stove. Outside is ample off road parking and a lawned garden with furniture. 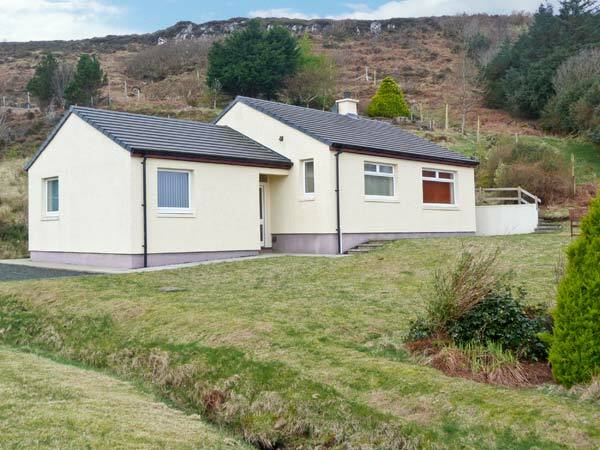 Taigh an Tobair (House by the Well) boasts stunning views and there are a number of attractions nearby, making this holiday home ideal for all the family. Oil central heating with woodburning stove in sitting room. Electric oven and hob, microwave, fridge, freezer, washing machine, dishwasher, TV with Freeview, DVD, CD, WiFi, selection of books, DVDs and games. Fuel, power and starter pack for woodburning stove inc. in rent. Bed linen and towels inc. in rent. Ample off road parking. Storage area for bikes, canoes etc. Front lawned garden with furniture. Sorry, no pets and no smoking. Shops and pub 5 miles. Coast 10 mins walk. Note: There is an unfenced stream running through the garden, therefore children need to be supervised at all times. Florin Cottage is a ground floor cottage with wonderful views in a peaceful location in Greshornish, a few miles from Edinbane, near Dunvegan, on the Isle of Skye. The cottage sleeps five people in three bedrooms (one double, one twin and one single) and a family bathroom. Also in the cottage is a fitted kitchen with a dining area and a sitting room with a woodburner. Outside the cottage is off road parking for three cars and a large enclosed garden. 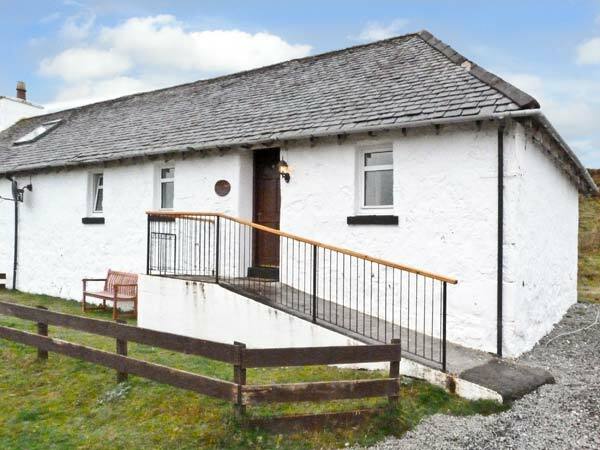 With attractions such as Portree, the Cuillin Mountains and even the west coast of the mainland easily accessible, The Florin Cottage makes a great Isle of Skye base. Electric storage heaters with woodburning stove in sitting room. Electric oven, ceramic hob, microwave, fridge, washer/dryer, dishwasher, TV/DVD with Freeview. Selection of books/games/DVDs. Electricity inc. in rent, fuel for stove available to buy locally. Bed linen and towels inc. in rent. Off road parking for 3 cars. Large enclosed lawned garden. Two well-behaved dogs welcome. Sorry, no smoking. Shops 5 miles, pub and restaurant 2 miles. Greshornish Boathouse is a cosy first floor apartment above a boathouse on the shores of Loch Greshornish on Skye. There is one double bedroom, a bathroom, kitchen and a sitting room with dining area with a single sofa bed and views over the loch. Outside is one parking space. Greshornish Boathouse is a wonderful base for enjoying walking, exploring the spectacular coastline and drinking in the peace and quiet of this mystical island. Electric storage heaters with wall-mounted electric panel heater and woodburning stove in sitting room. Electric cooker, fridge/freezer, washing machine, portable TV (no signal, for playing videos and DVDs only), DVD player, selection of videos and DVDs. Electricity and starter pack for woodburning stove inc. in rent. Bed linen and towels inc. in rent. Off road parking for 2 cars. One well-behaved dog welcome. Sorry, no smoking. Hotel with restaurant 5 mins walk (seasonal, check opening times, booking essential). Pub and shop 4.5 miles. The Ghillie's Cottage is a detached cottage on the Greshornish Peninsula on the Isle of Skye. 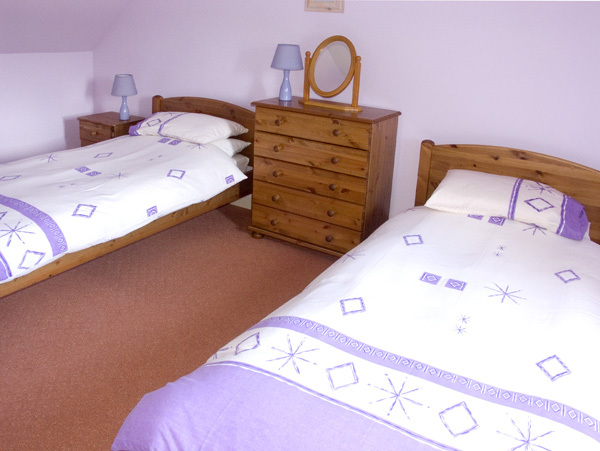 The cottage has one double bedroom, one twin room and a family bathroom, making it suitable for four people. Also in the cottage is a fitted kitchen with a dining area and a sitting room. Outside the cottage is off road parking for three cars and a large garden. Perfect for getting away from it all, The Ghillie's Cottage allows you to enjoy the seclusion of Skye. Electric storage heaters with electric fire in sitting room. Electric oven and hob, microwave, fridge, washing machine, dishwasher, flat screen TV with Freeview, DVD, selection of books, games and DVDs. Fuel and power inc. in rent. Bed linen and towels inc. in rent. Off road parking for 3 cars. Large enclosed garden. Two well-behaved pets welcome. Sorry, no smoking. Shop 7 miles. Pub and restaurant 4 miles. 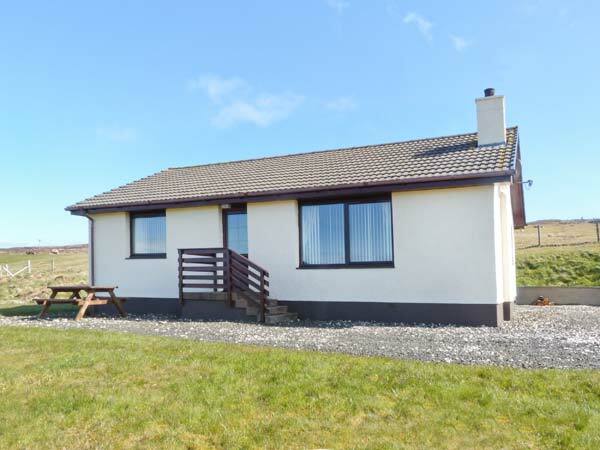 The Keeper's Cottage is a single storey detached property with wonderful views in a peaceful location in Greshornish, a few miles from Edinbane, near Dunvegan, on the Isle of Skye. This cosy cottage has a double and a twin room, and a family bathroom with bath, shower over, basin and WC. The living area is open plan, with a fitted kitchen, dining area and a sitting area. Outside, there is a large garden and off road parking. 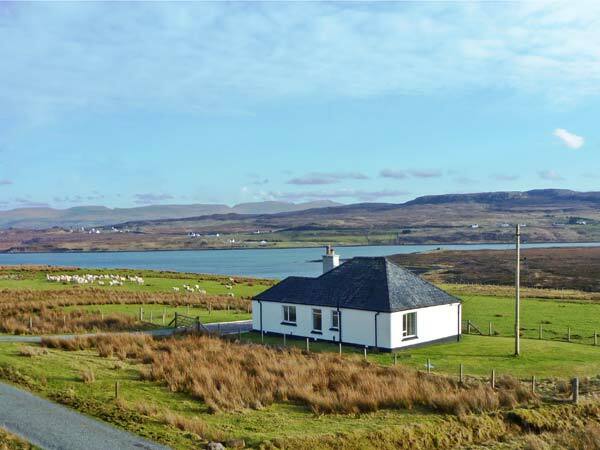 With attractions such as Portree, the Cuillin Mountains and even the west coast of the mainland easily accessible, The Keeper's Cottage makes a great Isle of Skye base. Electric storage heaters with electric fire in sitting area. Electric oven and hob, microwave, fridge, washing machine, dishwasher, flat screen TV/DVD with Freeview, books/games/DVDs. Electricity inc. in rent. Bed linen and towels inc. in rent. Off road parking for 2 cars. Large garden. Two pets welcome. Sorry, no smoking. Shop 5 miles. Pub and restaurant 2 miles. This cosy cottage provides and ideal spot for a romantic break for two. The accomodation comprises a double bedroom, a bathroom and a sitting room with kitchen area. 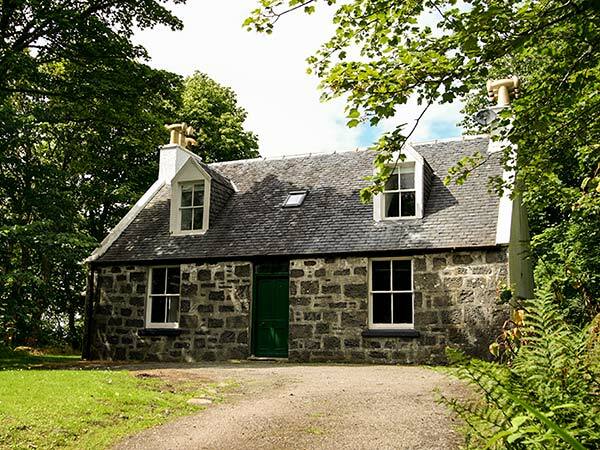 The Cottage is available on breakfast basis for stays up to three nights We provide you with a comprehensive continental type breakfast or a ready- to- cook full Scottish and the facilities to cook it. For longer stays most people prefer to self-cater. We can sometimes accomodate one pet by negotiation. Four bedrooms: 2 x double, 1 x ground floor twin, 1 x twin. Ground floor bathroom with roll-top bath, walk-in shower, basin and WC. Shower room with walk-in shower, basin and WC. Open plan living area with kitchen, breakfast bar, dining area and sitting area. Utility. Sitting room with woodburner. Mezzanine reading room (seats 4). 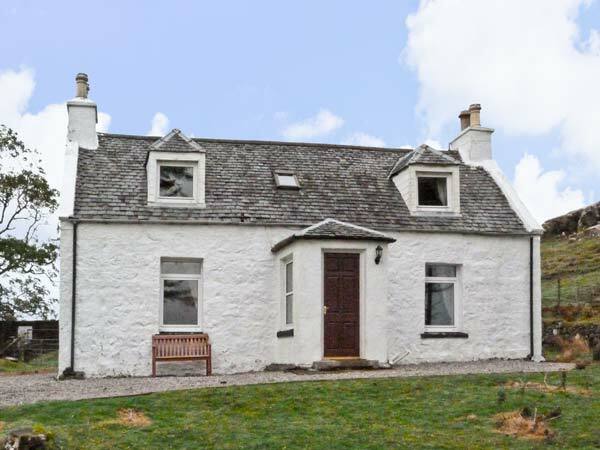 This detached cottage is on the outskirts of the village of Dunvegan and can sleep eight people in four bedrooms. Brae Cottage is a detached cottage on the outskirts of the village of Dunvegan just twenty two miles from Portree. The cottage sleeps eight people and has two double bedrooms, one ground floor twin, one twin and ground floor bathroom together with separate shower room. Also in the cottage is an open plan living area with kitchen, breakfast bar, dining area and sitting area and sitting room. Outside is ample off road parking, a front lawned garden and a private, south-facing decked area with hot tub, furniture and BBQ. Situated in the north west of Skye, Brae Cottage is a lovely family holiday cottage all year round. Oil central heating with underfloor heating on ground floor and oil-fuelled radiators on first floor and woodburner. Range cooker with electric oven and hob, microwave, fridge/freezer, washing machine, tumble dryer, dishwasher, 2 x TVs with basic Sky, DVD, WiFi, selection of books, games and DVDs. Fuel, power and starter pack for stove inc. in rent. Bed linen and towels inc. in rent. Cot and highchair on request. Ample off road parking. Front lawned garden and private south-facing decked area with hot tub, furniture and BBQ. Sorry, no pets and no smoking. Shop, pub and coast 1 mile. Note: There are sloping ceilings in shower room and reading room.